Called "America's Shakespeare," Edgar Allan Poe created or mastered the short story, detective fiction, science fiction, lyric poetry and the horror story. His dark genius has invited children and adults to read and love literature for over 150 years. Poe's LifeWho is Edgar Allan Poe?The name Poe brings to mind images of murderers and madmen, premature burials, and mysterious women who return from the dead. His works have been in print since 1827 and include such literary classics as “The Tell-Tale Heart,” “The Raven,” and “The Fall of the House of Usher.” This versatile writer’s oeuvre includes short stories, poetry, a novel, a textbook, a book of scientific theory, and hundreds of essays and book reviews. He is widely acknowledged as the inventor of the modern detective story and an innovator in the science fiction genre, but he made his living as America’s first great literary critic and theoretician. Poe’s reputation today rests primarily on his tales of terror as well as on his haunting lyric poetry.Just as the bizarre characters in Poe’s stories have captured the public imagination so too has Poe himself. He is seen as a morbid, mysterious figure lurking in the shadows of moonlit cemeteries or crumbling castles. This is the Poe of legend. But much of what we know about Poe is wrong, the product of a biography written by one of his enemies in an attempt to defame the author’s name.The real Poe was born to traveling actors in Boston on January 19, 1809. Edgar was the second of three children. His other brother William Henry Leonard Poe would also become a poet before his early death, and Poe’s sister Rosalie Poe would grow up to teach penmanship at a Richmond girls’ school. Within three years of Poe’s birth both of his parents had died, and he was taken in by the wealthy tobacco merchant John Allan and his wife Frances Valentine Allan in Richmond, Virginia while Poe’s siblings went to live with other families. Mr. Allan would rear Poe to be a businessman and a Virginia gentleman, but Poe had dreams of being a writer in emulation of his childhood hero the British poet Lord Byron. 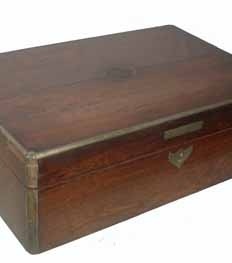 Early poetic verses found written in a young Poe’s handwriting on the backs of Allan’s ledger sheets reveal how little interest Poe had in the tobacco business. By the age of thirteen, Poe had compiled enough poetry to publish a book, but his headmaster advised Allan against allowing this. In 1826 Poe left Richmond to attend the University of Virginia, where he excelled in his classes while accumulating considerable debt. The miserly Allan had sent Poe to college with less than a third of the money he needed, and Poe soon took up gambling to raise money to pay his expenses. By the end of his first term Poe was so desperately poor that he burned his furniture to keep warm. Humiliated by his poverty and furious with Allan for not providing enough funds in the first place, Poe returned to Richmond and visited the home of his fiancée Elmira Royster, only to discover that she had become engaged to another man in Poe’s absence. 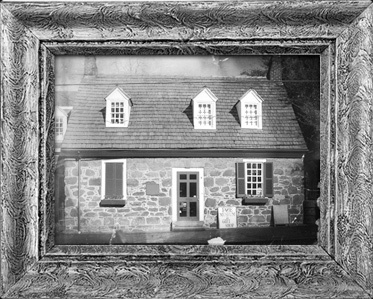 The heartbroken Poe’s last few months in the Allan mansion were punctuated with increasing hostility towards Allan until Poe finally stormed out of the home in a quixotic quest to become a great poet and to find adventure. He accomplished the first objective by publishing his first book Tamerlane when he was only eighteen, and to achieve the second goal he enlisted in the United States Army. Two years later he heard that Frances Allan, the only mother he had ever known, was dying of tuberculosis and wanted to see him before she died. By the time Poe returned to Richmond she had already been buried. Poe and Allan briefly reconciled, and Allan helped Poe gain an appointment to the United States Military Academy at West Point. Before going to West Point, Poe published another volume of poetry. While there, Poe was offended to hear that Allan had remarried without telling him or even inviting him to the ceremony. Poe wrote to Allan detailing all the wrongs Allan had committed against him and threatened to get himself expelled from the academy. After only eight months at West Point Poe was thrown out, but he soon published yet another book.Broke and alone, Poe turned to Baltimore, his late father’s home, and called upon relatives in the city. 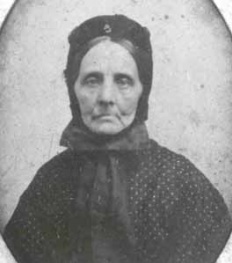 One of Poe’s cousins robbed him in the night, but another relative, Poe’s aunt Maria Clemm, became a new mother to him and welcomed him into her home. Clemm’s daughter Virginia first acted as a courier to carry letters to Poe’s lady loves but soon became the object of his desire. While Poe was in Baltimore, Allan died, leaving Poe out of his will, which did, however, provide for an illegitimate child Allan had never seen. By then Poe was living in poverty but had started publishing his short stories, one of which won a contest sponsored by the Saturday Visiter. 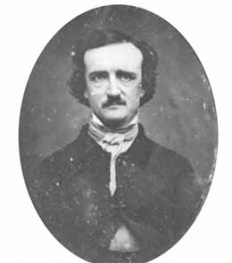 The connections Poe established through the contest allowed him to publish more stories and to eventually gain an editorial position at the Southern Literary Messenger in Richmond. It was at this magazine that Poe finally found his life’s work as a magazine writer. Within a year Poe helped make the Messenger the most popular magazine in the south with his sensational stories as well as with his scathing book reviews. Poe soon developed a reputation as a fearless critic who not only attacked an author’s work but also insulted the author and the northern literary establishment. Poe targeted some of the most famous writers in the country. One of his victims was the anthologist and editor Rufus Griswold. At the age of twenty-seven, Poe brought Maria and Virginia Clemm to Richmond and married his Virginia, who was not yet fourteen. The marriage proved a happy one, and the family is said to have enjoyed singing together at night. 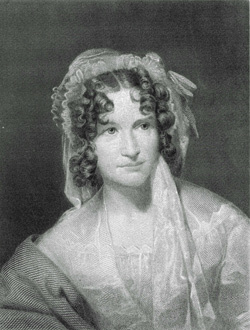 Virginia expressed her devotion to her husband in a Valentine poem now in the collection of the Enoch Pratt Free Library, and Poe celebrated the joys of married life in his poem “Eulalie.”Dissatisfied with his low pay and lack of editorial control at the Messenger, Poe moved to New York City. In the wake of the financial crisis known as the “Panic of 1837,” Poe struggled to find magazine work and wrote his only novel, The Narrative of Arthur Gordon Pym. After a year in New York, Poe moved to Philadelphia in 1838 and wrote for a number of different magazines. He served as editor of Burton’s and then Graham’s magazines while continuing to sell articles to Alexander’s Weekly Messenger and other journals. In spite of his growing fame, Poe was still barely able to make a living. For the publication of his first book of short stories, Tales of the Grotesque and Arabesque, he was only paid with twenty-five free copies of his book. He would soon become a champion for the cause of higher wages for writers as well as for an international copyright law. To change the face of the magazine industry, he proposed starting his own journal, but he failed to find the necessary funding.In the face of poverty Poe was still able to find solace at home with his wife and mother-in-law, but tragedy struck in 1842 when Poe’s wife contracted tuberculosis, the disease that had already claimed Poe’s mother, brother, and foster mother. Always in search of better opportunities, Poe moved to New York again in 1844 and introduced himself to the city by perpetrating a hoax. His “news story” of a balloon trip across the ocean caused a sensation, and the public rushed to read everything about it—until Poe revealed that he had fooled them all. The January 1845 publication of “The Raven” made Poe a household name. He was now famous enough to draw large crowds to his lectures, and he was beginning to demand better pay for his work. He published two books that year, and briefly lived his dream of running his own magazine when he bought out the owners of the Broadway Journal. The failure of the venture, his wife’s deteriorating health, and rumors spreading about Poe’s relationship with a married woman, drove him out of the city in 1846. At this time he moved to a tiny cottage in the country. 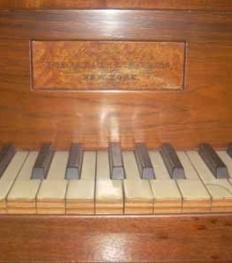 It was there, in the winter of 1847 that Virginia died at the age of twenty-four. Poe was devastated, and was unable to write for months. His critics assumed he would soon be dead. They were right. Poe only lived another two years and spent much of that time traveling from one city to the next giving lectures and finding backers for his latest proposed magazine project to be called The Stylus.While on lecture tour in Lowell, Massachusetts, Poe met and befriended Nancy Richmond. 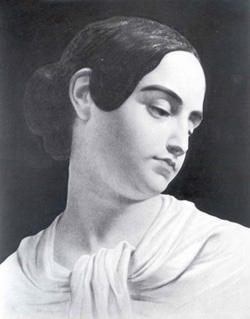 His idealized and platonic love of her inspired some of his greatest poetry, including “For Annie.” Since she remained married and unattainable, Poe attempted to marry the poetess Sarah Helen Whitman in Providence, but the engagement lasted only about one month. 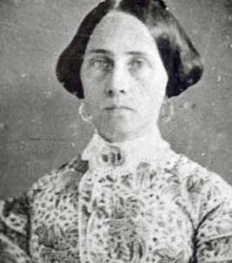 In Richmond he found his first fiancée Elmira Royster Shelton was now a widow, so began to court her again. Before he left Richmond on a trip to Philadelphia he considered himself engaged to her, and her letters from the time imply that she felt the same way. On the way to Philadelphia, Poe stopped in Baltimore and disappeared for five days. He was found in the bar room of a public house that was being used as a polling place for an election. The magazine editor Joseph Snodgrass sent Poe to Washington College Hospital, where Poe spent the last days of his life far from home and surrounded by strangers. Neither Poe’s mother-in-law nor his fiancée knew what had become of him until they read about it in the newspapers. Poe died on October 7, 1849 at the age of forty. The exact cause of Poe’s death remains a mystery. "The Raven" follows an unnamed narrator who sits reading "forgotten lore" as a method to forget the loss of his love, Lenore. A "rapping at [his] chamber door" reveals nothing, but excites his soul to "burning". A similar rapping, slightly louder, is heard at his window. When he goes to investigate, a raven steps into his chamber. Paying no attention to the man, the raven perches on a bust of Pallas. Amused by the raven's comically serious disposition, the man demands that the bird tell him its name. The raven's only answer is "Nevermore". The narrator is surprised that the raven can talk, though it says nothing further. The narrator remarks to himself that his "friend" the raven will soon fly out of his life, just as "other friends have flown before" along with his previous hopes. As if answering, the raven responds again with "Nevermore". The narrator reasons that the bird learned the word "Nevermore" from some "unhappy master" and that it is the only word it knows. Even so, the narrator pulls his chair directly in front of the raven, determined to learn more about it. He thinks for a moment, not saying anything, but his mind wanders back to his lost Lenore. He thinks the air grows denser and feels the presence of angels. Confused by the association of the angels with the bird, the narrator becomes angry, calling the raven a "thing of evil" and a "prophet". As he yells at the raven it only responds, "Nevermore". Finally, he asks the raven whether he will be reunited with Lenore in Heaven. 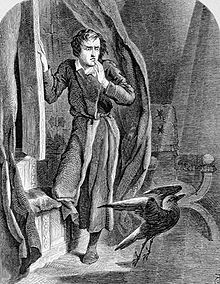 When the raven responds with its typical "Nevermore", he shrieks and commands the raven to return to the "Plutonian shore", though it never moves. Presumably at the time of the poem's recitation by the narrator, the raven "still is sitting" on the bust of Pallas. 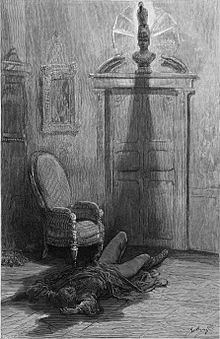 The narrator's final admission is that his soul is trapped beneath the raven's shadow and shall be lifted "Nevermore".